In 2007 a much younger Barack Obama had the designation of a Senator. As we know, that wouldn’t last for long as the Hawaiian native had his eye on a much bigger prize. In oder to get there, he campaigned on hope and change. And with that, in 2008, the United States had its first black President. Coincidentally the smallest crossover from Infiniti was born in 2008 and after flipping through countless baby name books, Infiniti decided to go with the adorable name of EX 35. Obama eventually garnered hundreds of thousands of fans around the world, in fact, you could argue millions. The EX 35? Well it had thousands of fans too, more specifically 2,300*. That’s how many people bought it when it first came out. And from there on in, that was the last time the EX 35 was able to crack over 2,000 sales in a year. As Obama went on to fame and glory, the EX 35 quietly sat on dealer lots, sadly watching as potential owners steadily went across the street to the German dealerships to purchase their equivalent model. You would think that euthanasia might have been in the EX 35’s cards as a result, but rather than offing Mr. Ex, Infiniti still saw potential. So, they went ahead and gave it new life with new style and a new name. The EX 35 has been reborn with the equally adorable name of QX50. Does it have what it takes to elevate itself to Presidential status? I drove one for a week to find out. 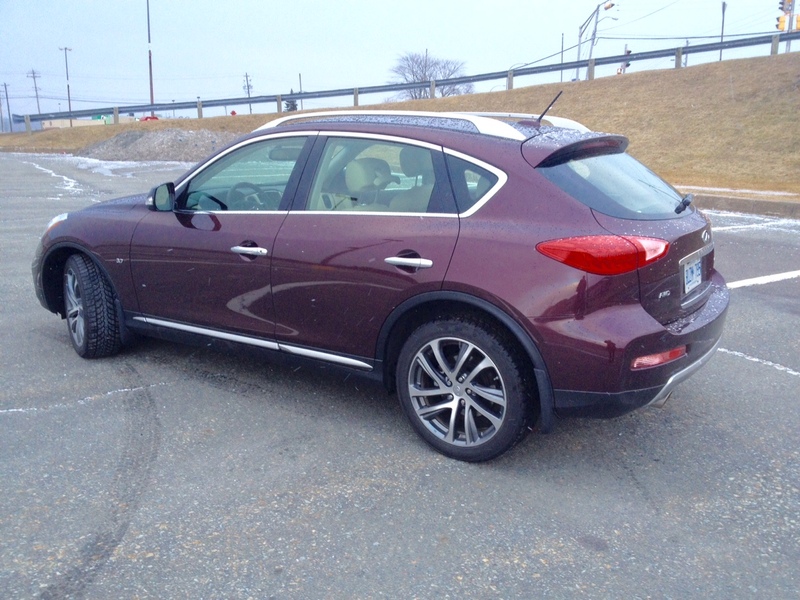 Yes, just four sentences ago I said the QX50 has new styling, but you’d be forgiven if you weren’t able to tell. If you look long and hard enough, there are a few details that are indeed new such as a new front grille, LED daytime running lights housed within new trim, a new lower front fascia and new optional 19-inch rims. But perhaps the biggest change is its overall size. It’s noticeably longer. You see, in North America, vehicle excess is generally regarded as an indicator of success. The bigger your car or SUV, the flashier you appear. However in China, that only sort of rings true. The Chinese see rear legroom as and indicator of success more than anything else when it comes to cars. The more rear legroom in the back, the more successful and flashy your image becomes. That’s why you’ll often see manufacturers going out of their way to build long wheelbase versions of some of their models for sale in the Chinese market only. Infiniti did the same with the Chinese version of the EX and as a result, it was four inches longer than our version. 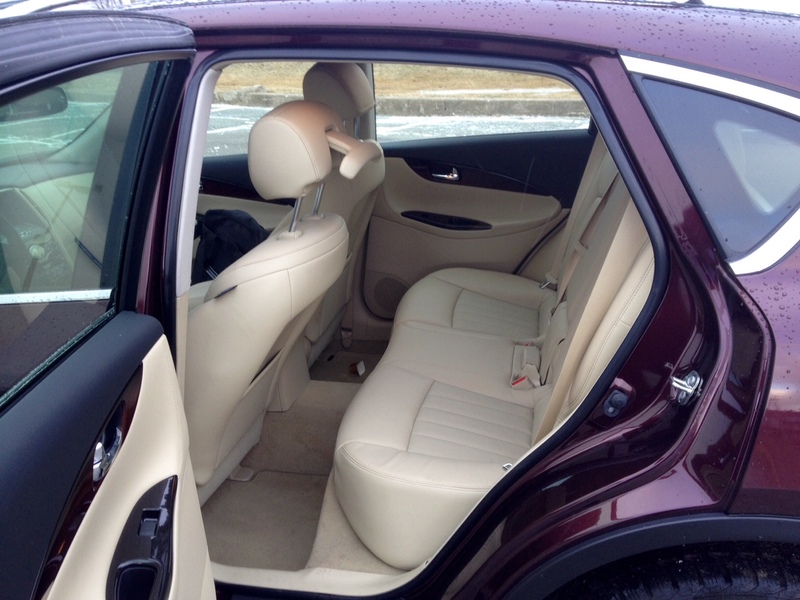 But there’s no need to close our legs in embarrassment of our size because now the QX50 has the same extra four inches added to it. 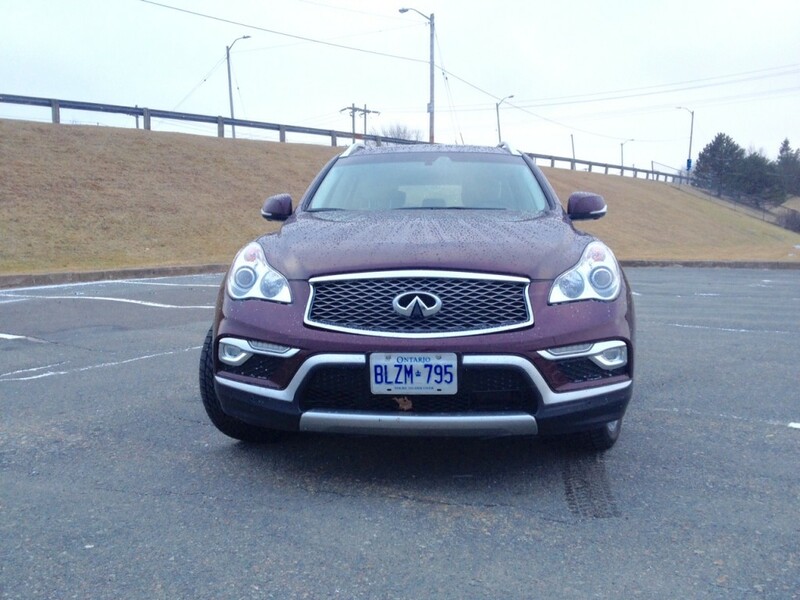 As a result, the QX50 has a sleeker roofline and a lot more road presence. That is, if you see it from its profile. 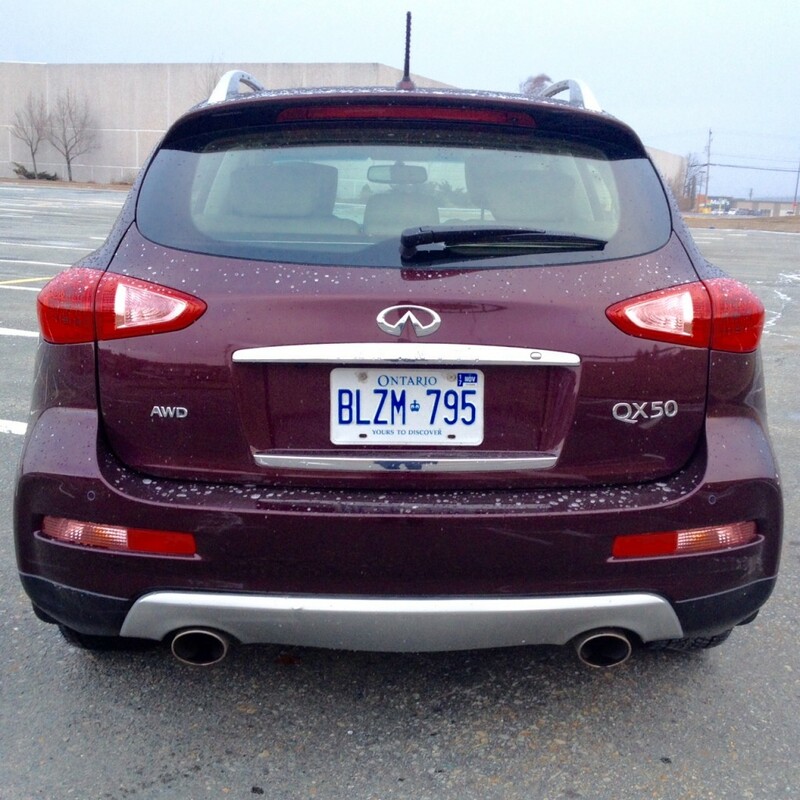 If you see a QX50 from its rear, only the badge will give is away as a QX, not an EX. With all that said, overall, in this author’s mind, this is like microwaving your steak because it’s easier than using an oven and getting out a meat thermometer with a timer in order to get that perfect medium-rare. Infiniti could have gotten away with this minor refresh in 2008, but in 2016, when manufacturers are using mid-cycle refreshes as an opportunity for a complete redesign, the QX50 falls quite short I’m afraid and it feels like an easy way to attempt to keep it modern. And unless you’re a traditionalist, things are much still the same inside resulting in disappointment. This whole interior looks and feels as if it’s from 2008. 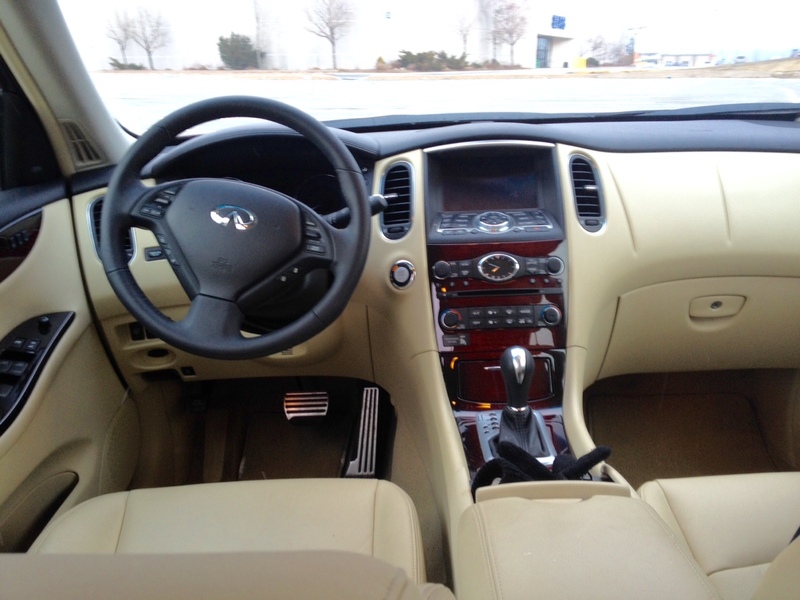 Thankfully, Infiniti was making decent quality interiors back then so the blow is a bit softened, but it’s a bit like going to a friend’s house to see that they have an orange coloured iMac G3 as their main computer. It was fine in 1998, but let’s be honest. Looking back, coloured computers were something we as a human race should have probably stayed away from. And the same can be said for the faux looking mahogany wood trim that almost completely takes up the entire centre stack. Then there’s the steering wheel which is the least luxurious wheel I’ve put my hands on in a long time. It feels old and outdated, much like the gauges and the rather small screen in between them that house various informational settings. The centre stack still has Infiniti’s decent infotainment and navigation systems, but again, the look still seems dated. Being a premium brand, fit in finish is good though and comfort is where it now should have been with the added legroom at the back. However, this really is just the amount of legroom the EX should have had from the get go as it was fairly cramped from its inception. Here’s where the QX50 has a bit of a trick up its sleeve bonnet. There’s only one engine option and guess what, it isn’t a four cylinder. It’s a 3.7 litre V6 which produces 325 horsepower and 267 pound feet torque mated to a 7-speed automatic. If you’re one to like a lot of gruff to go with your power then this is the perfect engine for you. It feels just as powerful as it sounds, even if that sound is remarkably similar to an old pick-up. But while I can appreciate the overt masculinity of that sound, it feels rather out of place in a vehicle that is meant to turn heads with its prestige. 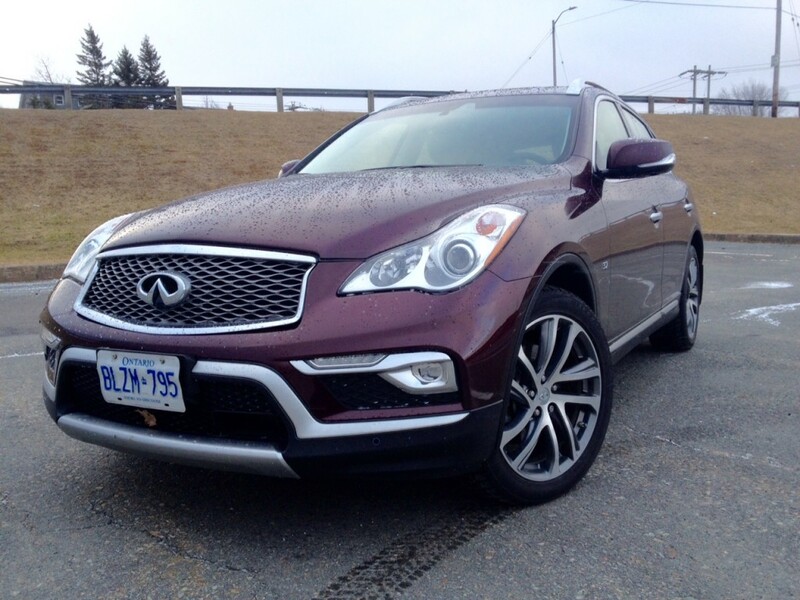 The QX50 takes a more poised approach to its characteristics on the roads, at least more so than it does with luxury. While bumps and other imperfections in the road are handled adequately, it’s clear the QX50 is built to handle bouts of Fast n’ Furious feelings from the driver through good acceleration and surprisingly capable handling. 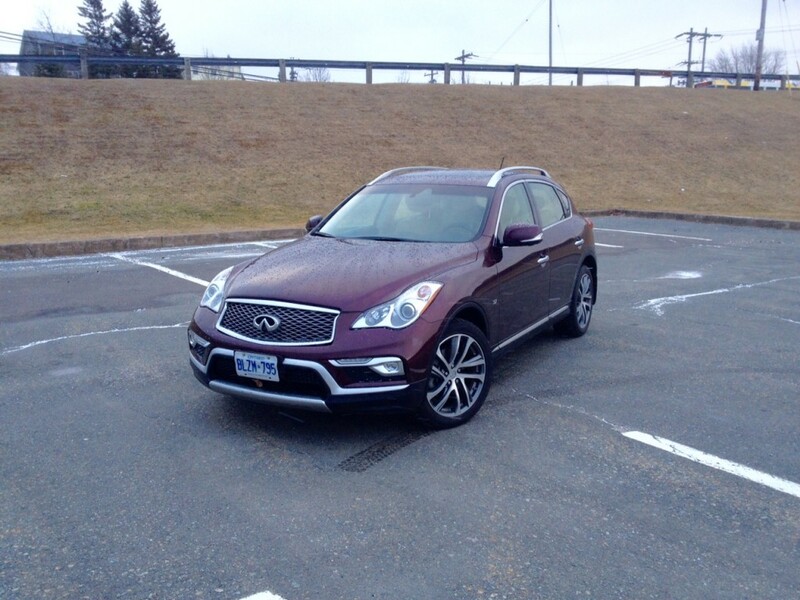 In corner’s the QX50 feels rather planted thanks to the lower than usual ride height. This actually makes it a bit of a pleasure to drive along twisty roads. It doesn’t flinch in the slightest if you were to initiate an emergency maneuver at high speeds either. Along with rather precise feeling steering feedback, the confidence to the driver becomes apparent as soon as you push it. With no option of a four cylinder, the downside is more consumption of fuel. 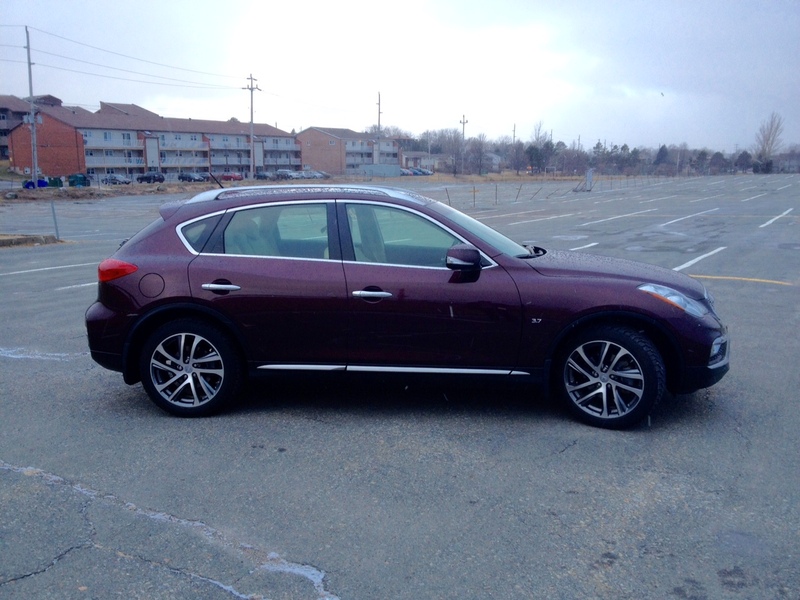 Officially the QX50 is rated at 13.7 L/100 kms in the city and 9.7 L/100 kms highway. I managed to return 14.1 L/100 kms in mostly city driving which isn’t all that great considering crossovers from much larger vehicle segments are now able to meet or actually beat those figures. 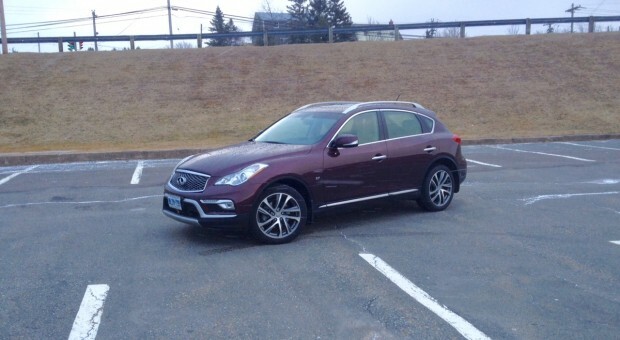 By now, you’ve likely concluded that I wasn’t really all that impressed with the QX50. As a stand alone vehicle, it’s safe to say that it’s good. However once you line up even just one of its immediate competition, it’s clear that the QX50 is a bit out of its league. Or is it? You see as early as 2008, there were people who declared that there would never be a black President of the United States in their lifetime. They were, to their delight, proved wrong as history has demonstrated. All it took was a little bit of hope and change. The QX50? Well it could definitely take a page from the same book. There really does need to be more substantial change to this vehicle. It’s outdated both in terms of interior and exterior style and in some ways, even in the way that it drives. More room inside may not be enough to sway potential buyers though. But here’s where the hope part comes in. Infiniti may be banking on the fact that even though the QX50’s positive character traits of a powerful standard engine matched with handling abilities often not experienced in the segment will be enough to keep the former EX 35 going until the next full redesign. 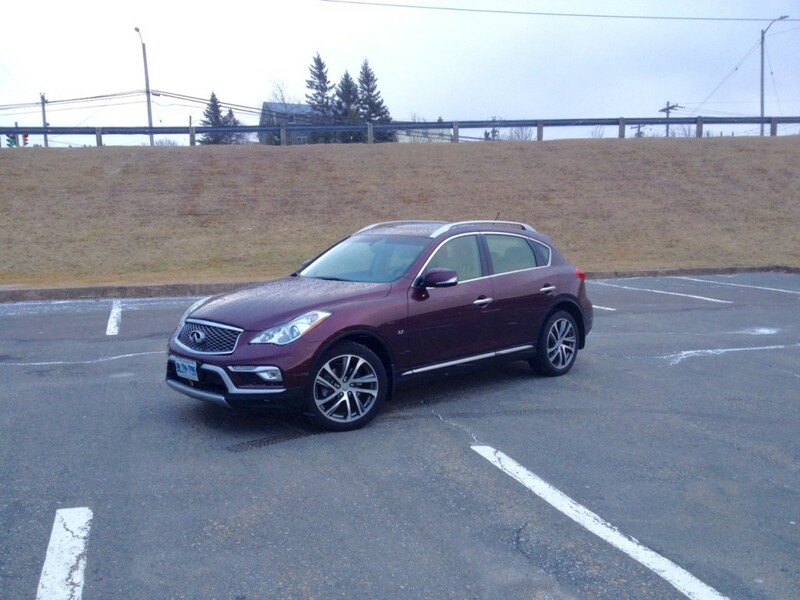 And if you’re cursed with being a performance aficionado like I am, that actually makes the QX50 rather appealing. That is, if I was faced in a situation where my significant other was insistent on a sensible crossover over a 370Z. Thankfully that isn’t my current life situation, but if it were, I admit it would be hard to not overlook the ancientness of the QX50 in favour of it being an overall pleasure to drive. Indeed, what the QX50 really needs right now is hope and change. Obama was able to make it work, but we shall see if the former baby of Infiniti’s crossover portfolio will be met with a similar fate.